Alternatively, if the user already has the app installed, the link will open the app directly to the optimal page or app state. OneLink™ also supports short linking for social media posts, SMS and email marketing, and QR Codes for print and out-of-home media. 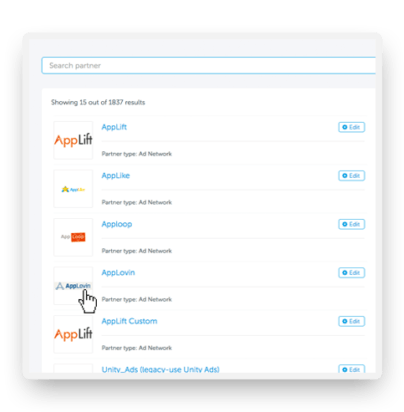 OneLink™ Universal Deep Linking attributes leads from any marketing activity, improves your conversion rates and boosts your customer experience across every platform and environment. This incredibly powerful single link will send new users to the right app store, and then open the optimal welcome experience after the app is installed. Deep integrations with nearly every media source and marketing platform including Facebook, Google, and Twitter make it easy to attribute every install to its source. 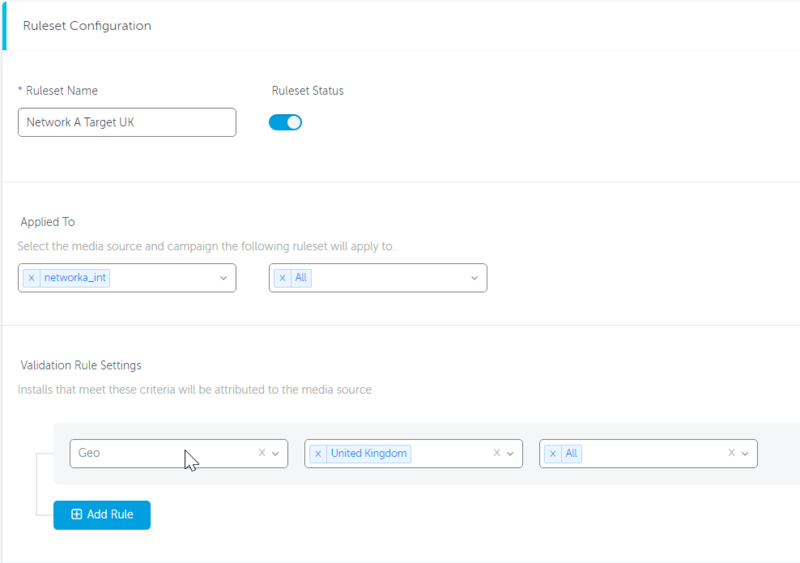 But it doesn’t end there; preconfigured postbacks send the right engagement data straight to your partners, so you can build advanced audience campaigns (i.e. personalized retargeting, lookalike targeting) and enable reattribution without adding network-specific SDKs. Over the last couple of years, TV advertising has become an increasingly powerful and essential component to app marketing for both big brands and mobile-first businesses. 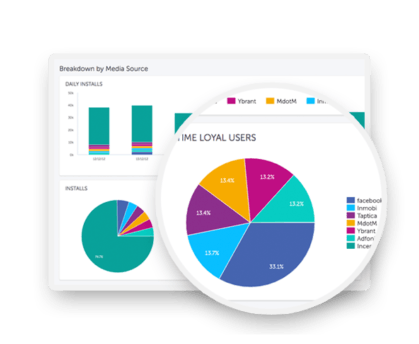 Our real-time TV attribution solutions measure the impact of your TV campaigns. You can even streamline your efforts by using our deep integrations with WyWy, Shazam, TvTy, TVSquare and Adalyser. 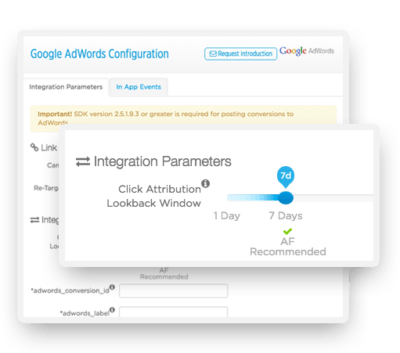 Users will often interact with multiple ads before making the final decision to install. 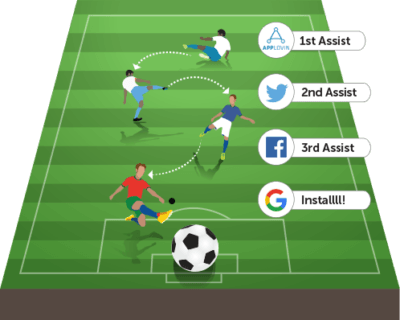 Our unique multi-touch attribution allows you to gain vital early funnel insights by knowing which media sources “assisted” each install – via a click or a view – as well as which drove the final install. 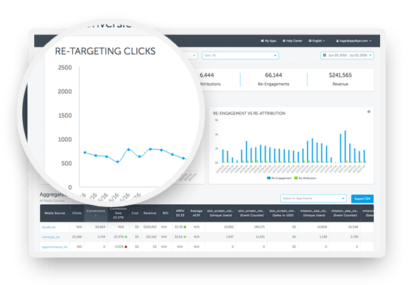 Like our user acquisition attribution, our retargeting attribution provides incredibly accurate attribution and granular, detailed performance reporting. Easily discover which campaigns drive the strongest user re-engagement and reactivation, in addition to the added value (ROI) these efforts bring to your app. Adapt your attribution to meet your business needs with custom configurable attribution windows. Fully customizable, you can configure your attribution lookback windows per media source and per attribution type (view-through or click-based attribution). Client defined attribution resolves double attribution challenges, a common cause for performance data discrepancies.